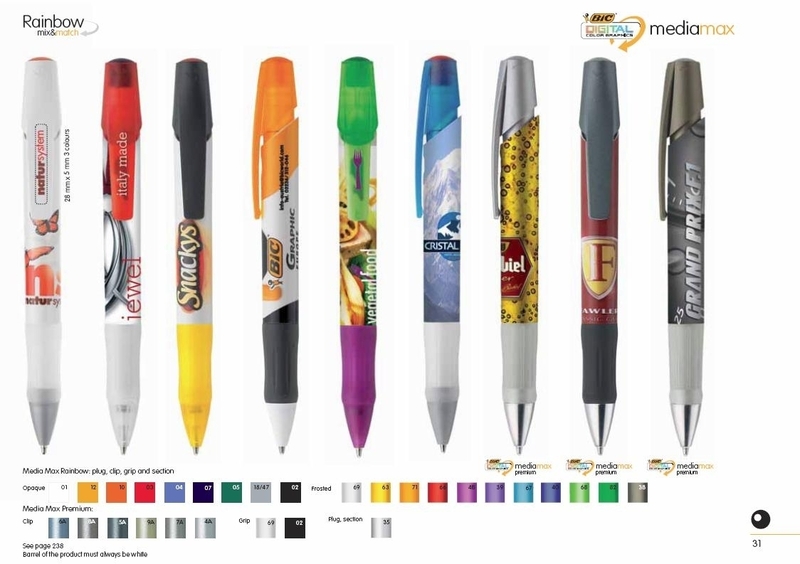 Description The Bic Media Max ballpen is available in a wide choice of barrel, grip and clip colours and is an ideal pen for full colour digital printing. Extra charges apply for pens with metal appointments. Unit price for 500 € 1.30 Unit price for 1,000 € 1.10 Prices exclude vat & print set-up charges.